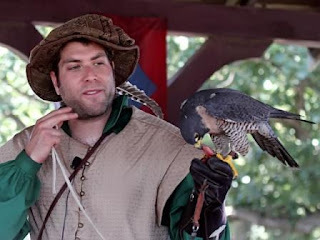 The Raptor Center: TRC at Renaissance Festival This Weekend! Looking for something fun to do this weekend? TRC is at the Renaissance Festival in Shakopee, MN this Saturday and Sunday (Aug 17 and Aug 18). There will be four-30 minute presentations starting at the following times each day: 12:00pm, 1:30pm, 2:30pm, & 3:15pm. We created an Event Page on our Facebook - tell us if you are going so we can look for you! Did you come out to see us in a past year's appearance there? Share a fun memory with all of us!